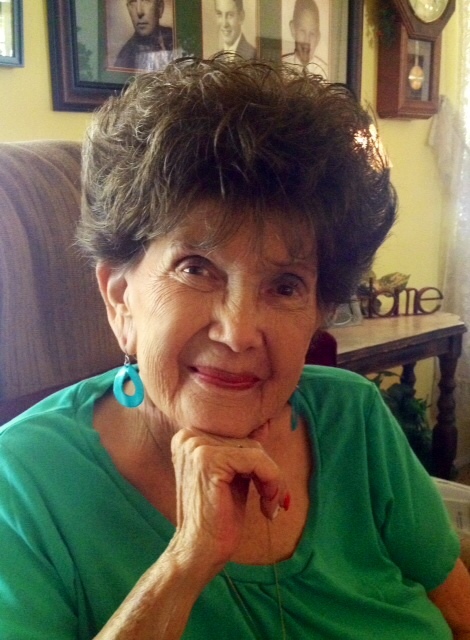 Mary Joan Goodman Barber, known as “Nana” by so many, passed away peacefully at her home surrounded by loved ones on December 11, 2014 in Gilbert, Arizona. She led a very happy, fulfilled life with family and friends. On May 4, 1950 she married Joseph Alexander Barber Jr. and they were happily married over 61 years raising their four children; Mary Ann Parry (Dennis), Phyllis Carlene Weberg (Don), JoAlice Garbrick (Bob) and David Allen Barber (Belinda). She has 26 grandchildren and 38 great-grandchildren. She is preceded in death by her eternal companion Joseph and two grandsons, Joseph and Jacob. As a family they all enjoyed camping, hunting, fishing and loved the outdoors. They eventually became campground hosts and purchased a home in Springerville. As members of the Church of Jesus Christ of Latter-day Saints they served several missions at the Mesa Family History Center. A viewing will be held Friday, December 19th from 6-8 PM at the Gilbert Ward building, 1150 W. Elliot Rd., Gilbert, AZ 85233. The funeral will be at 10 AM Saturday, December 20th at the same location with a viewing prior at 9 AM. Arrangements by Bunker’s Garden Chapel.